Justin Myers, Chief Operating Officer of Charleston-based sign company, The Sign Chef, proudly admits he is a disabled veteran of the US Navy and Wounded Warrior alumni. 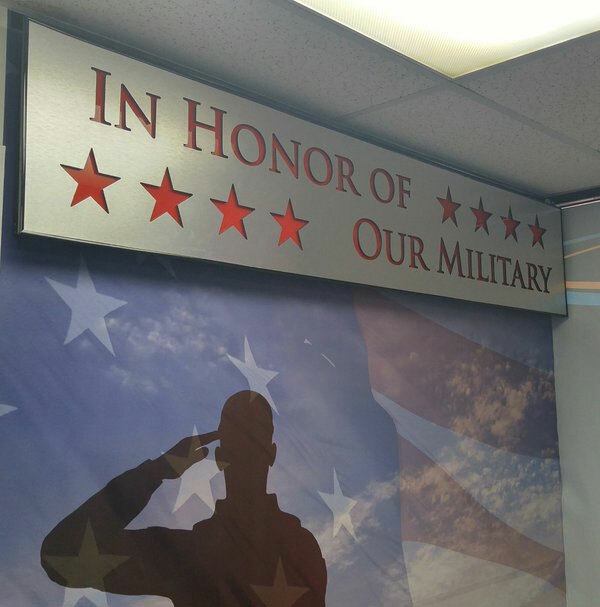 Myers’ service heavily inspired the reception area signage. Several family members of Myers’ have served in various military, and it is safe to say the company’s military connection is strong. 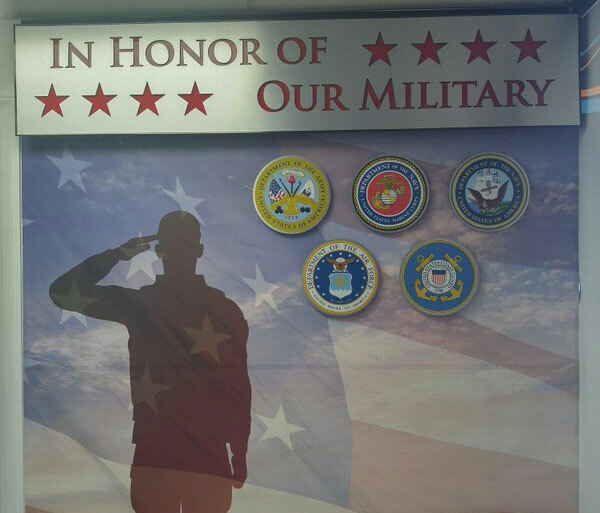 “Only the best of the best for the memorial of our brothers and sisters who have served and still serve,” that’s why Dibond was chosen as the material of choice for the military dedication wall according to Myers. The sign is composed of Brushed Silver Dibond, and was specified for it’s high-class and high-value qualities. “Dibond is also easily cut on a router; its black core gives it a very finished look,” Myers further explains. Dibond aluminum composite is a frequent choice of the Sign Chef as it promises value and a “classy appearance”. Dibond is a top three choice for Myers especially, specifying the material for the high-end finish it produces. His team has completed dozens of projects recently including a Dibond sign hand-cut by Myers himself. As a sign professional, Myers recommends using Dibond for its value and high return on investment for clients. The military dedication wall was made with a half sheet of Dibond material, with the circles created from the remaining substrate. The Brushed Dibond panel is backed with red acrylic, giving the sign a multi-layered look. The layers are significant for “levels of inspiration” from Myers’ service. The red can distinctly be seen as the shiny red stars showing through the top border of the signage. While Myers and his shop custom fabricate signs of all kinds, it’s the military memorial signs that strike closest to home. “The military is near and dear to my heart,” Myers explains. In an interview with 3A, Myers states that he also mentors members of the military on getting reacclimated to civilian life. 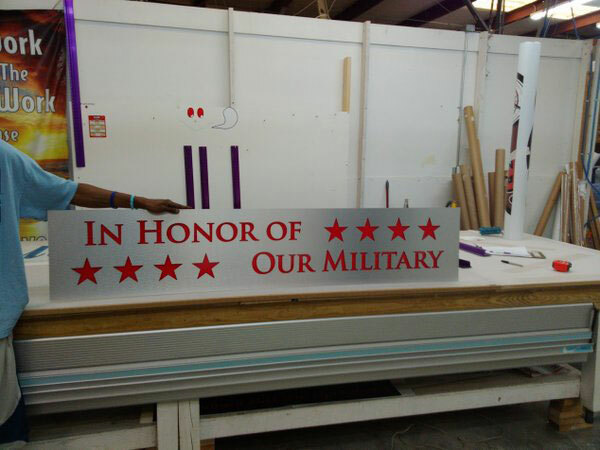 The team is looking forward to an upcoming project in Tennessee where they’re debuting a special military signage – one of 50 for all the United States.